A few years ago I knew little about clothing care, let alone how to care for my special vintage garments. 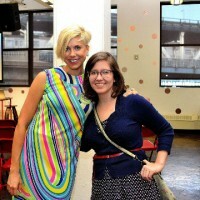 After having worn it one sweaty summer’s day, I threw my favorite vintage romper into the washer and dryer. It emerged completely shrunken and not nearly as bright in color as when I first bought it. I never bothered to look at the material on the tag, or ask the vintage seller how she thought I should wash it. On top of that, I wasn’t aware that most vintage garments should be hand washed in general to avoid damage such as shrinkage, color run and general wear and tear. So as inspired by my personal experiences (and so you can learn from my mistakes! ), here are 12 supplies I use and which I believe every woman should own to properly care, clean, store and mend her vintage clothing for long-lasting, damage free wear! Knowing how to care for your vintage clothing garments means they’ll remain in your wardrobe for years to come, and not doomed for the trash like my ex-favorite romper was. What’s your vintage care and clean secret? Do you own a product that’s not listed here? Let me know by sharing your tips in the comments, or by saying hello on Twitter, Facebook and Instagram. And if you aren’t yet, please subscribe to my newsletter! WHY YOU SHOULD OWN ONE: Every single vintage clothing seller owns a steamer because they’re quick, easy and safe for removal of wrinkles and creases from any type of clothing material; from cotton, silk, polyester, rayon, acetate and wool. CLOTHING CARE: Handheld steamers are much easier to use than irons, which can accidentally damage material when left sitting on a garment or when used on the wrong setting for the fabric at hand. 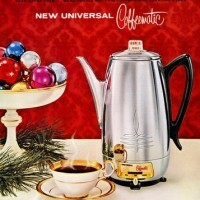 The only material to steer clear of steaming is vintage-to-antique materials (typically pre ’30s) which can become permanently watermarked if the steamer leaks onto the fabric. This was a tip shared with me by Hinesite Vintage. WHY YOU SHOULD OWN ONE: Wool tends to hold onto free materials such as dust, hair and fuzz from other clothing materials. So if you store winter garments, come unpacking time you’ll probably find that your collection needs the sweep of a lint brush. 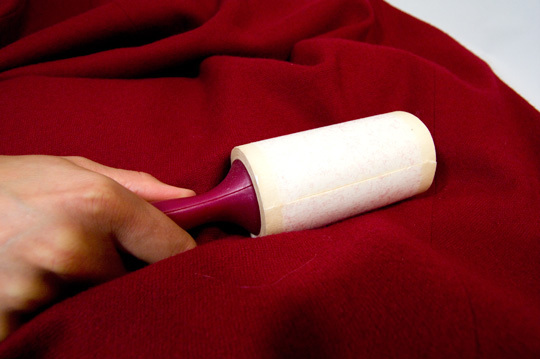 CLOTHING CARE: If you’re without a lint brush, use masking tape instead — but only on non-silk and non-fragile materials. The stickiness of a tape lint brush could break down the fibers of delicate fabrics, which are best brushed with non-stick materials. PRODUCT SUGGESTION: Scotchbrite Lint Brush for non-silk materials and the Evercare Magik Brush for silk or particularly old and therefore more fragile materials. 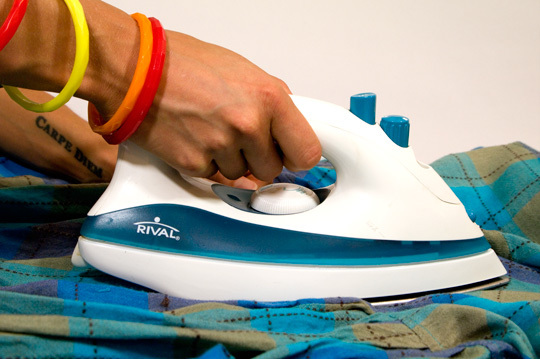 WHY YOU SHOULD OWN ONE: Irons work great when used on cotton garments that need a crisp, clean look. Steamers are wonderful for quick fixes on cotton blends too, but nothing beats the long-lasting heat of an iron. CLOTHING CARE: Pick and choose what you iron wisely. If in doubt, iron a small test spot or default to your steamer. ’70s and ’80s cotton dresses, shirts and pants take great to irons. But polyester secretary blouses from the ’70s? Put that iron on low heat and test one spot before taking on the whole garment, or you may end up with a burnt blouse! 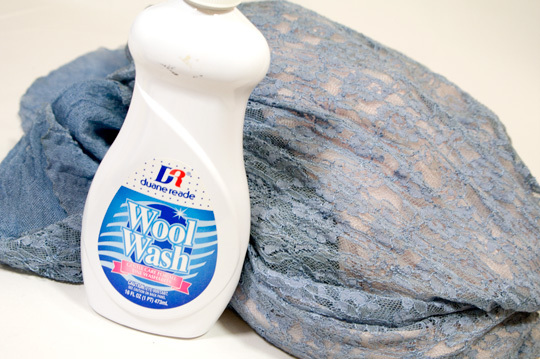 WHY YOU SHOULD OWN IT: Wool wash is my go-to detergent for hand washing vintage clothing (and clothing in general) because it’s gentle and safe on all fabrics and relatively fragrance-free. CLOTHING CARE: Most vintage sellers will advise you never to machine wash a vintage garment, even when made from cotton. Handle all vintage gently when cleaning, as age wears down the fibers of even cotton garments. My personal rule of thumb is to hand wash all garments made prior to the 1980s with a product intended for delicate materials, such as wool wash.
WHY YOU SHOULD OWN IT: It’s true what they say about vintage clothing: It can smell musty, old and yes, stains from prior wear can be difficult to remove. However, that doesn’t mean both problems can’t be solved with the right products and the best use of them! 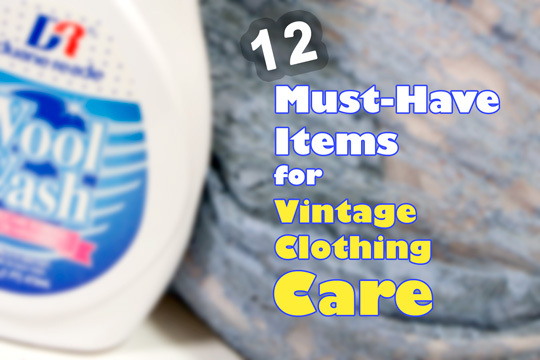 CLOTHING CARE: Febreze is my go-to product for freshening vintage clothing after it’s been hand washed or steamed. Febreze removes most “old” smells without damaging the garment. 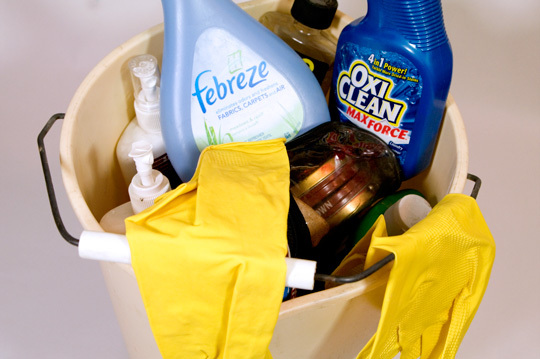 Oxi Clean is a harsh stain remover that works when all other DIY remedies for stain removal don’t work. I suggest applying a small amount of Oxi Clean to your garment’s stain, let sit for a few hours and then rinse with water. Absolutely no scrubbing, which can break down the fibers of the garment or spread the stain. WHY YOU SHOULD OWN IT: Store a travel-size spot treatment for stains in your purse like you’d keep spare Band Aids or bobby pins. You just never know when you’re gonna need them! CLOTHING CARE: Ketchup on a new vintage dress could be disaster hours after it happens, but a stain remover placed on the spot ASAP can at least alleviate (if not completely eliminate) the damage as soon as it happens and before setting deeper into the fabric. 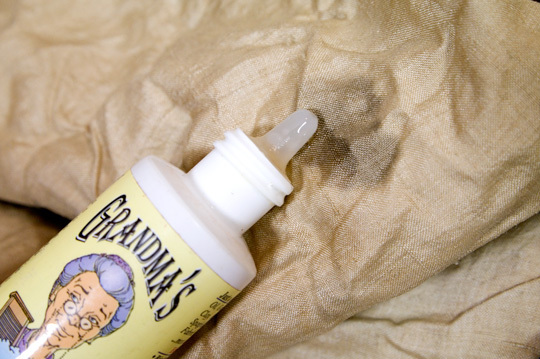 PRODUCT SUGGESTION: Grandma’s Secret Spot Remover is my go-to for all vintage materials, especially because it’s chlorine and phosphate-free. WHY YOU SHOULD OWN THEM: Storing clothing in storage bins is a safe way to rotate your off-season wardrobe and take care of collectible clothing. CLOTHING CARE: My NYC apartment was built in the 1920s. I love that fact, but don’t love the fact that my closets are practically non-existent! I use clear plastic bins to store my off-season clothing when it’s not hanging in my closet. 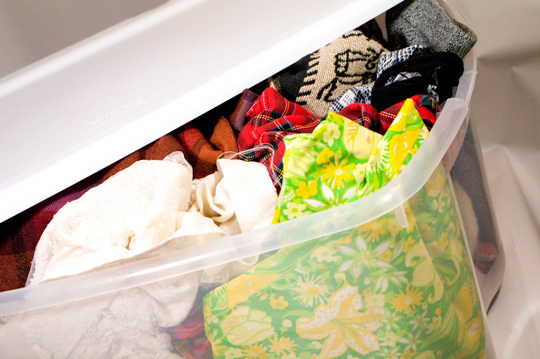 Storage bins prevent bugs, water and sunlight from damaging the garments. 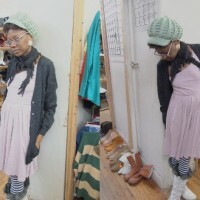 Plus, you’ll be much more organized considering most vintage lovers are also borderline clothing hoarders! PRODUCT SUGGESTION: Sterilite Plastic Bins (set of 4) are large enough to store your thick sweaters and coats come spring time, plus you can designate each bin for a different genre of clothing to keep storage organized. WHY YOU SHOULD OWN THEM: Wire hangers from the dry cleaners may be free, but fixing damage brought onto clothing by them isn’t. 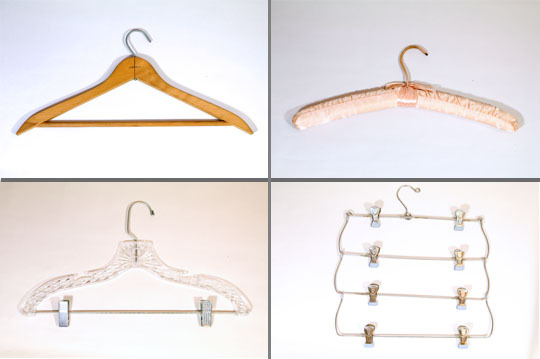 Because your clothing collection varies by type of piece, material and weight of garment, a supply of varied, quality hangers will help you to store and protect your prized vintage possessions. CLOTHING CARE: Wire hangers are probably a clothing garment’s worst nightmare because they are meant to temporarily, but not permanently, hold a vintage garment. I’ve seen the shoulders of vintage silk dresses torn by wire hangers! Wooden hangers are best for heavy coats and jackets not only to hold its weight, but to help hold the coat’s shape. Satin fabric hangers are best for silk, rayon and lace garments. Last, I double up on plastic top/skirt hangers and four-tiered skirt hangers to conserve space in my closet. 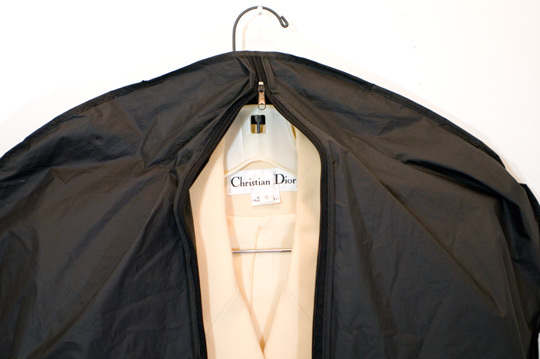 WHY YOU SHOULD OWN THEM: Garment bags store high-quality garments in protective coverings and are needed for moving garments between locations without damaging or dirtying them. CLOTHING CARE: Collectible designer garments, high-quality materials and close-to-you possessions should be kept under wraps in a garment bag. My 1980s vintage Christian Dior skirt suit (above) has been kept in mint condition thanks to protection from a garment bag. PRODUCT SUGGESTION: Black Breathable Garment Bags for basic storage or Black Travel Garment Bags for safe protection of your style while traveling. WHY YOU SHOULD OWN IT: Every girl should own a few needles and some thread for sewing buttons onto her clothing. 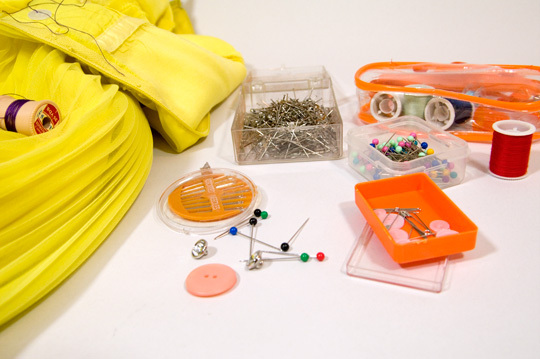 CLOTHING CARE: Whether you lose a button or simply want to add some new swanky ones to a garment, having basic sewing supplies nearby comes in handy for both maintenance and DIY magic of your vintage clothing. Sometimes vintage garments are sold for less money simply because they’re missing a button or need a quick stitch along a seam. Save money by purchasing these slightly imperfect garments and with a small investment in time, add buttons from your own collection for a personal touch that costs nothing. WHY YOU SHOULD OWN IT: Seam scissors or rippers are an essential tool when hemming or mending vintage clothing. CLOTHING CARE: Even if you aren’t a sewer or a DIY magician, if you have a thing for the ’80s then you’ll probably want a pair just to cut out the football size shoulder pads often found in garments. 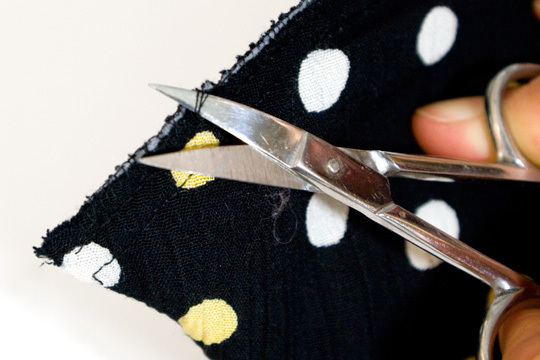 Beyond that, having some seam cutters on the side is further impetus to take care of your clothing when it needs a quick stitch. So often I see vintage thrown away simply because of a small tear. WHY YOU SHOULD OWN IT: Every girl needs a measuring tape for taking her proper measurements! Knowing that you are a “size 8” just doesn’t cut it for vintage purchasing and vintage sewing purposes. 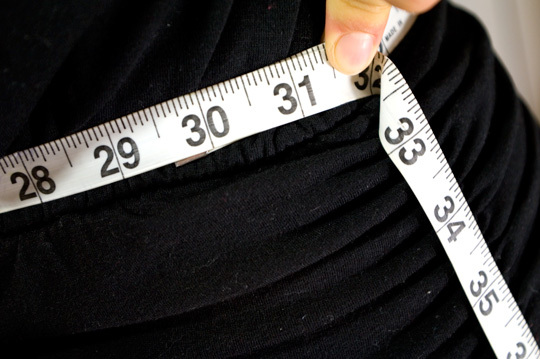 CLOTHING CARE: A measuring tape can be used for your waist, bust, torso and inseam measurements, which come in handy for making online vintage purchases, shopping a vintage boutique and helping professional tailors to alter your garment for the best fit possible. When I know a girls’ waist size at A Little Wicked, I’m able to more confidently pull dresses for her that I know will fit. ;-) I aim to please, this is great news! Great post! I will definitely be using some of these suggestions. Thanks for sharing! Seriously Giselle: STOCK UP ON WOOL WASH!! Those plastic storage bins make great soaking containers too! I put my Oxi bath and vintage in there for good long soaks without tying up my sink. Love the list, thanks for the refresher!! I do this too! Perfect for a long soak. I usually end up with several bins in a line for a long day of vintage wash! I’m pretty sure I ONLY machine wash my workout clothes and underwear! too funny. Handwashing rules! In regards to using an iron on your clothes, especially anything delicate (like a polyester or blend), get a thing cotton handkerchief, and dampen it, lay it on top of your garment and iron the wet material as opposed to the iron contacting your vintage! Hola! I’ve been reading your weblog for a long time now and finally got the courage to go ahead and give you a shout out from Houston Tx! Just wanted to tell you keep up the great job!